HomeHow Social Media Rescued Me. How Social Media Rescued Me. Being an independent massage therapist, it was easy to get the sense that I was all alone. 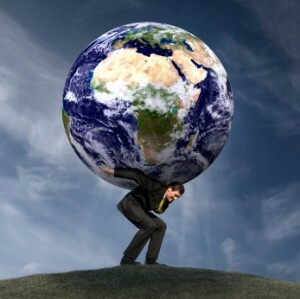 Everything falls on my shoulders and some days I felt like Atlas, holding up the entire world. Owning your own business is hard, daunting, and some days are completely overwhelming. But then I found the world of Social Media! In 2009, I found the world of Facebook and was able to connect with old classmates, colleagues, and friends. According to a 2013 study by the AMTA, 81% of massage therapists are on Facebook. That’s a lot of connections and support and I found a great community to share ideas, stories, and connect with issues about massage and the business of massage. The weight of the world was gone. <sigh> Tip: Signup for Facebook and start connecting socially. Then I learned that 47% of Massage Therapists use LinkedIn. That’s more than double the national average! What’s going on with LinkedIn? I thought LinkedIn was just a professional networking site, where I could post my resume, like a job bank. What am I missing? So I did a little digging. Turns out, LinkedIn is a gateway into the business world that can help increase credibility. We all know how hard it can be to combat the less than desirable image the massage profession has to contend with from time to time. LinkedIn helps our image of being professionals. Sign me up! But the benefits don’t stop there. LinkedIn is also great at building your professional and business network. “Want to find a list of chiropractors in your area to reach out to? Search LinkedIn. Want to build a referral relationship with physicians? Search LinkedIn. Want to partner with a personal trainer in your area? Search LinkedIn.” Need to find an accountant to do your business taxes? Search LinkedIn. And the list goes on. Tip: Signup for LinkedIn and start connecting your business. There is a third social media outlet that is used by massage therapists. 27% of Massage Therapists use Twitter. 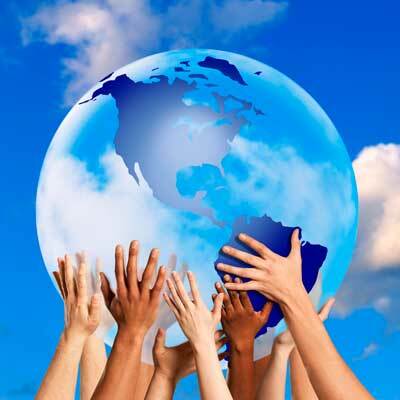 Twitter is a great platform to combine both social and business networking. It’s a simple concept that can produce amazing results. It is a great promotional tool, lead generator, customer service connection, and resource for information. “A study found that consumers active on Twitter are three times more likely than the average consumer to affect a brand’s online reputation through syndicated Tweets, blog posts, articles, and product reviews!” The key to Twitter is to target your connections, provide meaningful content with a sense of authentic helpfulness. Massage Therapists have a genuine desire to help people and love Word-of-Mouth Advertising. Twitter seems to be the ideal platform. Tip: Signup for Twitter and start connecting person to person. So what does all this mean? Massage Therapists are out there using social media, but the AMTA report states that in 2012 only 36% used social media to stay in touch with clients. Hmmmm…. Tip: Use social media to connect with your clients. The world of social media turns Atlas into a community. Next week, I will take social media mobile! Schaefer, Mark (2012-07-24). The Tao of Twitter: Changing Your Life and Business 140 Characters at a Time (p. 32). McGraw-Hill Education. Kindle Edition. Same as , p. 15. I loved the documentation of your journey into social media for your business. Your statement that you help people nationally is awesome. Being able to connect and generate a social following anywhere you travel or pick up business at a conference when doing professional development would be really cool! Building relationships with conference planners in your area can produce opportunities throughout the country (if you want them). I found the stat of only 36% use social to stay in touch with clients astonishing. I think in your business that would be the primary means of contact and creating repeat business. Especially the DM function in Facebook and Twitter would be a great tool. By following your clients you can tell when they are having a tough time and need your services. Shoot them a quick relationship building message and let them know you are thinking of them and you are there if they need you. Also a small discount or referral bonus or bring a friend deal in such a message (quietly added to the bottom of your message expressing your genuinely authentic concern for their wellbeing) would help develop your business. Also, I enjoyed the Atlas reference and visual additions to your post. The changes in font size and type and accents make your post very readable and scannable. Look forward to more wonderful entries! Thanks for reading my post and providing your feedback. What is the DM function in facebook and twitter that you are referring to? I think the two things I like best about your blog are the use of different size fonts to call attention to important facts, and that you have taken the time to answer people that comment. Both of these techniques are a smart way to get people engaged in what you are saying. Long posts need to be broken up to make it easier on the eye. Images re great, but too many images can break up the thought, and people lose their place. too many color fonts are confusing. But using different size fonts gets attention without being distracting. And of course the whole point of social media is two way conversation, so responding to comments is a spot on best practice! I like your ideas of referrals and follow up using social media. This can sometimes be tricky since many people do not want businesses to contact them on what they consider to be “personal communication channels”. But when you have an organic, opt in list of clients you have hit pay dirt, and it is the businesses responsibility to use that channel respectfully. Sharing information and promotions that they will find valuable (as you have) is the best way to do that!